This is a hand weaved wicker, over glass whiskey flask, with a pewter lid. As with any relic from that time period, the best finds are the ones that have been in a family collection for many generations, such as this one. 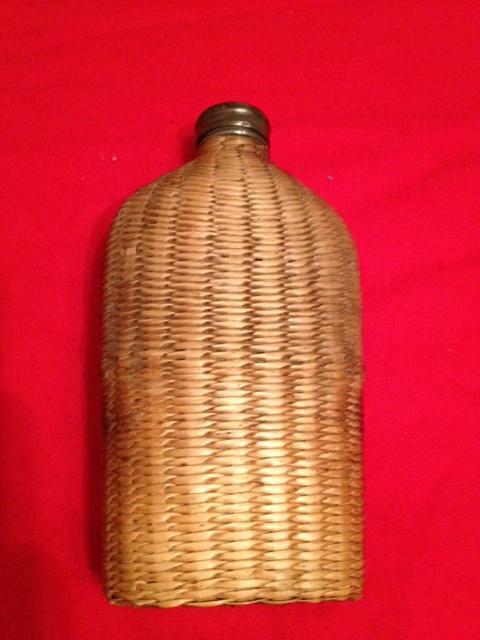 This is just one of several wicker covered flasks that I have. Hope to have the others posted soon. They are in better condition than this one. 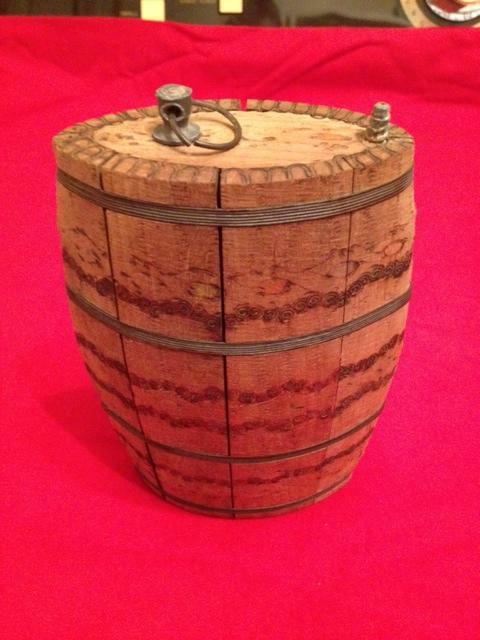 This is a treen (wood) whiskey or bourbon flask, made like a whiskey barrel. Moisture keeps the wood swelled together to keep from leaking. Notice the folk art burnt into the wood. 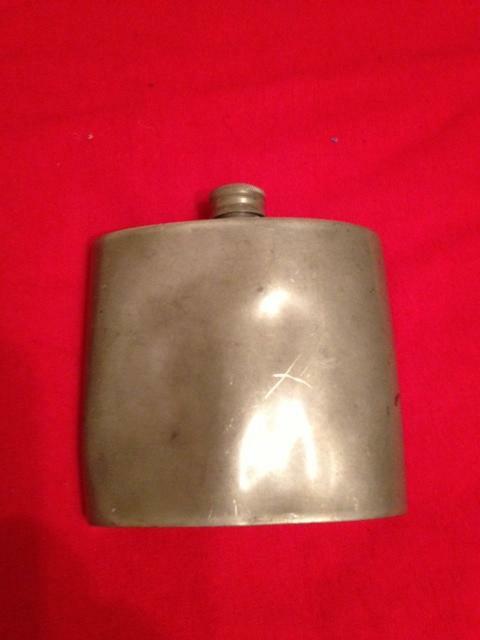 Pewter collapsible drinking cup with the tin carry case. 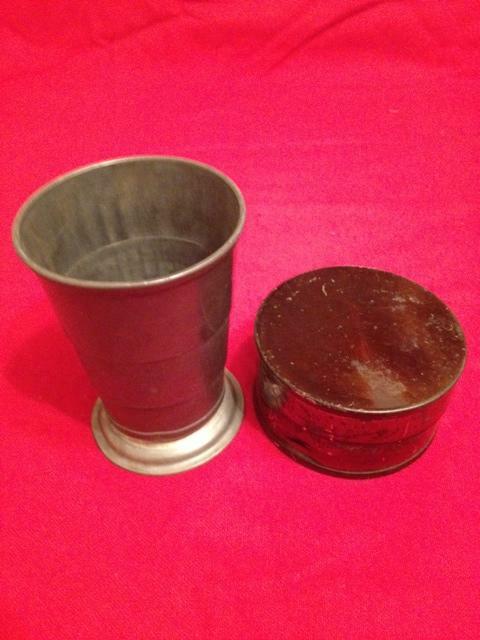 This is a pewter collapsible drinking cup with a tin case. These were often carried and used by officers. Well, I thought i would create this page to show my collection of Civil War artifacts. This collection has been put together over many years. From digs to swap meets or yard sales, you never know what you will find, there are lots of artifacts available if you look hard enough. I must admit though my favorite is my working cannon! Maybe you have heard it at some point? If you have ever been through eastern KY and heard a boom, the chances are good it was me! Well you will be seeing a lot more on this site, eventually I will even get a few videos posted. If you are into Civil War history too, leave a message.